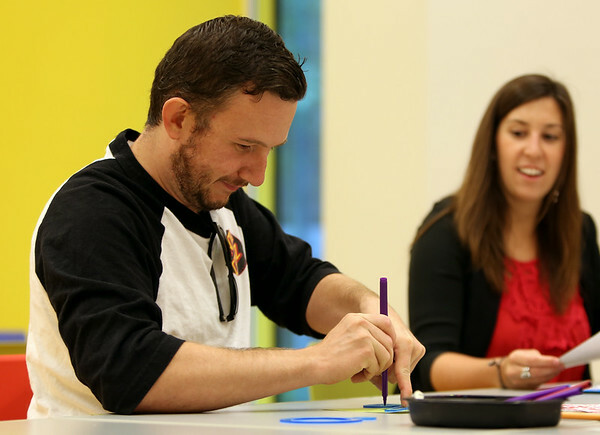 Salem resident Stephen Bass concentrates on making a Spirograph Art piece at the Peabody Essex Museum's Throwback Game Night on Thursday evening. DAVID LE/Staff photo. 8/21/14.